As I sit down to write this article, Jagjit saab’s magical voice echoes in my ears, thanks to Koi Fariyaad’s recreated version from Tum Bin 2. Naah. Not even close to the original. I open YouTube to listen to the original song and my search history is clearly giving it away. I love this old man a little too much. How and where did this affair began? I only have a faded memory. That music today cannot match what we had back in the ’90s is not even debatable anymore. From EDM, Jazz, Punk, Blues and Country to Bollywood, Yo Yo and well, the likes of Baadshah, we all know where we’re headed. Being a ’90s kid was a blessing for the music lover in me. Music back then was so much more than Ladki beautiful kar gayi chul and High Heels. It had a depth to it. It was so much more meaningful and soulful than the music that followed in the next decade and a half put together. But if there is someone whose music has stayed with me to this day, it has to be Jagjit Singh. I grew up in a family of music lovers. To be honest, none of us could sing but you don’t need to, do you? All you need to do is feel. And believe you me, the Jalansare an emotional lot. I remember the time when we got our very first computer. While brother and I excitedly played for hours with the MS Paint tool, Papa showed the same excitement to listen to Jagjit Singh ghazals on Winamp. His excitement would soon turn into an emotional ride. No matter how much he tried to cover it, his moist eyes were too hard to miss, and would give it away. And somewhere down the line, he passed on that strange connection with Jagjitsaab to me as well. And this is probably where my love affair with him began. I had heard papa tell me stories about Jagjit Singh, his wife Chitra, and how they lost their 20-year-old son to an accident. And these stories would only make me feel more connected to this face that I’d never seen, and the voice that I’d never really heard in real life. But he continued to be my go-to singer and his songs would make me feel things I didn’t know I was capable of feeling. Whether it is Jhuki jhuki si nazar ever so subtly talking about the charm of first love, Hotho se chhu lo tum beautifully summing up the union of two souls, or his emotional Chithhi na koi sandesh, which still has the power to swell even the coldest of hearts, Jagjit saab’s voice made everything sound so surreal. Hundreds of singers came, but none was able to match the grandiose of this man. And just when I had started listening to some English music, I came across this video of him and Chitra singing Tappe (Punjabi folk songs sung at a wedding), and I was drawn back to this magical baritone, once again. This time forever. Knowingly or unknowingly, this came to be my definition of love. The comfort level that the couple shared, along with the mischievous looks that they exchanged, somewhere even influenced my definition of a perfect relationship. So much am I in love with him that during a performance of these tappe at a friend’s wedding recently, I insisted that I be the guy and sing Jagjit saab’s part. 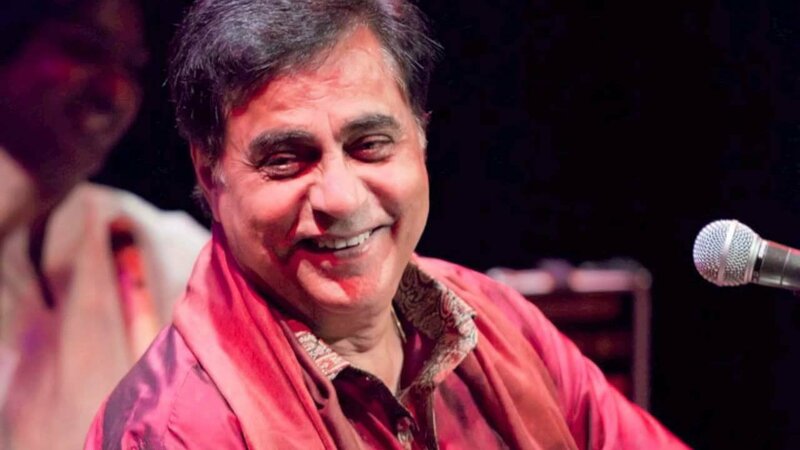 That I am an old-school soul is no news for me, but as I write this, I realise that may be, just may be, Jagjit Singh has a little part to play in it. 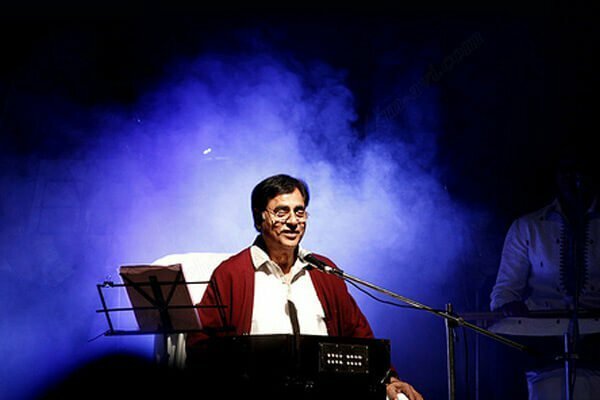 Thank you for giving us so much more than just music, Jagjit saab. Thank you for giving us the pleasure to capture your voice in our hearts and, well, our mobile phones. Your voice will continue to live in our hearts forever.